Digital business cards. Stay in contact with the people you meet. 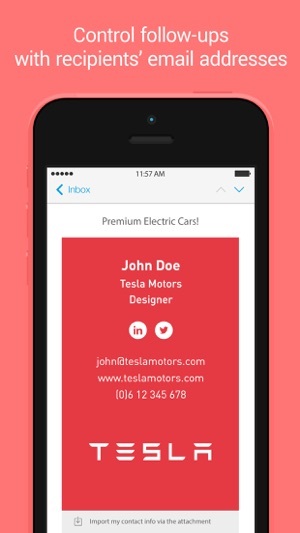 - High response: recipients get your card in their inbox so can easily respond. 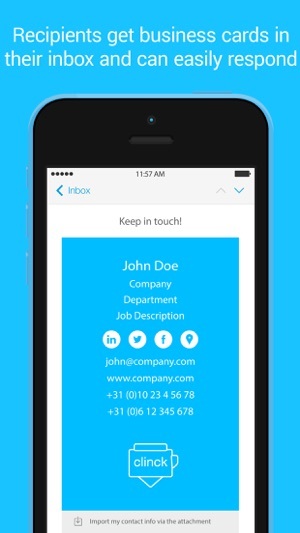 - Control follow-ups: you have recipients’ email addresses and can contact them. Weekly follow-up reminders. - Always ready to meet people: your cards are always in your pocket. 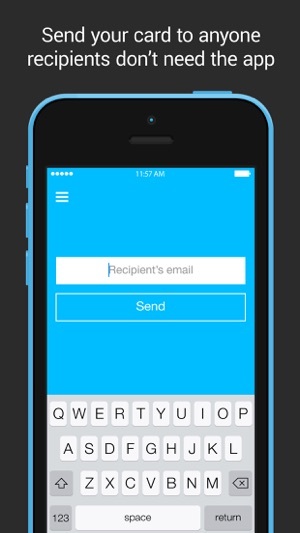 - Send your card to anyone: recipients don’t need the app. 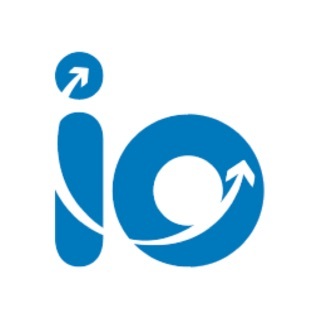 - Show your image: innovative and sustainable. 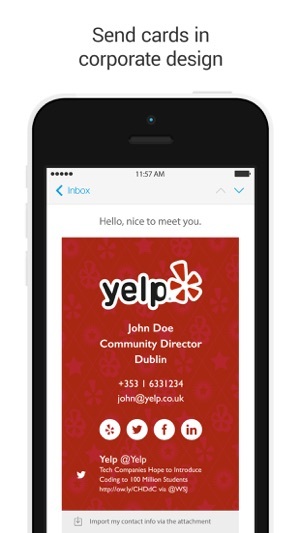 Sending cards is simple: type your recipients email and send your card. Or give your phone to your recipients and let them do it. We’d love to hear from you! 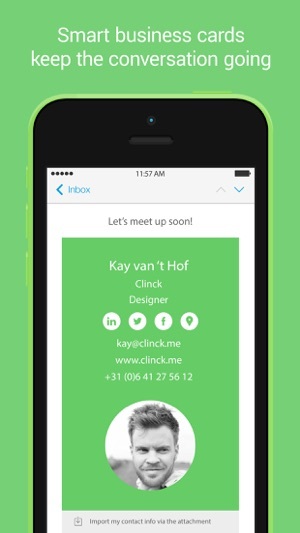 Reach us through the app or email us at info@clinck.me. - Location: Some custom cards include maps with the location of the place you met! - In-app purchase: Upload your custom logo! After many requests we have now added Instagram! Card looks great with my logo! Response is much higher than paper cards! Love it! Seriously, you don't need my location when you're in the background.